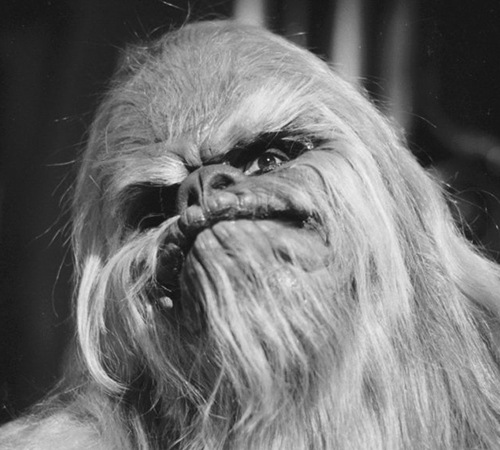 Description: Itchy is Chewbacca’s father, a gray-haired, cranky, 400-year-old cuss. [script] Itchy likes to carve wooden toys for his grandson Lumpy. He also seems to like having humanoid water creatures sing to him on the Mind Evaporator. 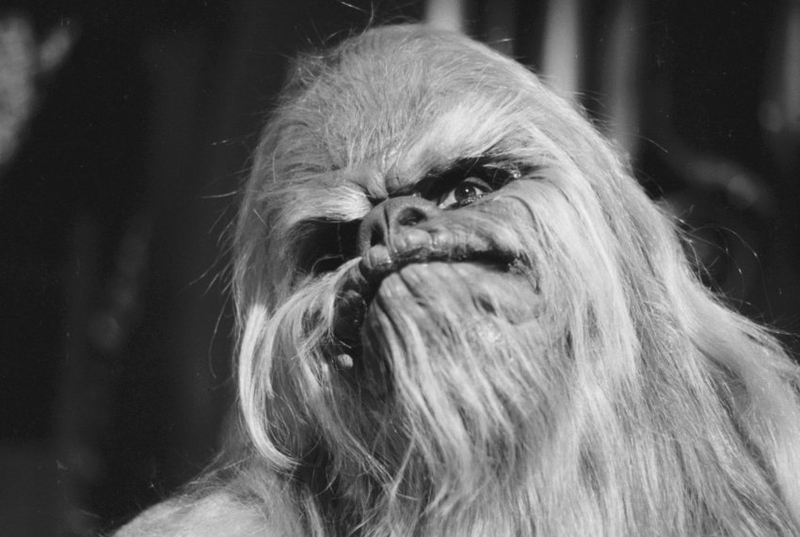 Details: Attichitcuk first appeared in an early form as Chewbacca’s father “Auzituck” as far back as the May 1973 Rough Draft of Star Wars. 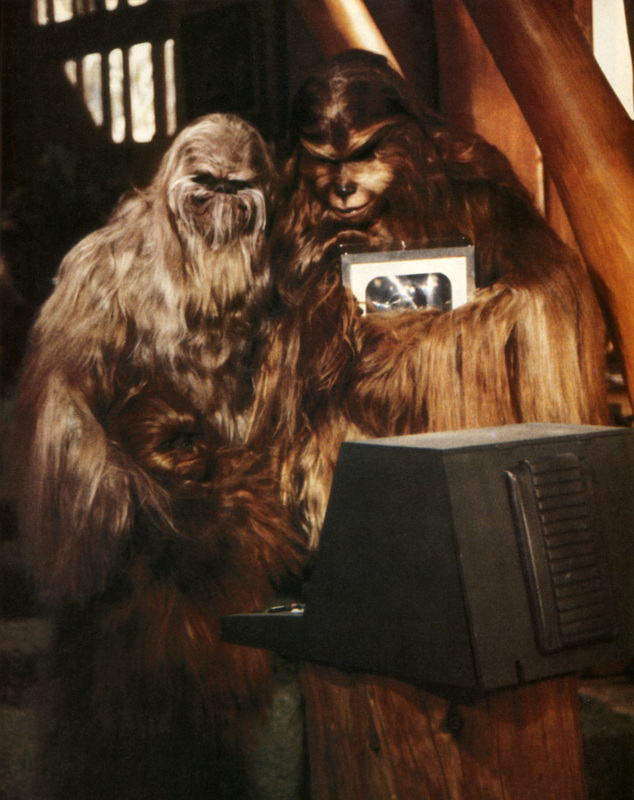 In scene 135 in the Wookee (sic) camp on Yavin (Yavin being an early version of Kazyyyk), it says “Chewbacca enters the largest of the lodges. 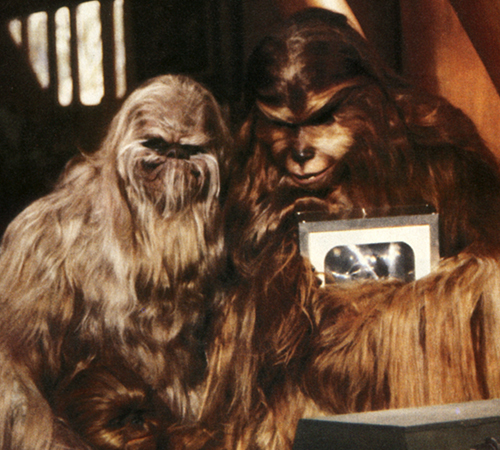 He is greeted by his father, AUZITUCK, Chief of the KAAPAUKU tribe; an old and feeble Wookiee dressed in royal skins and headdress.” However, Itchy’s eventual role in The Star Wars Holiday Special wasn’t quite so grand.